Entering Tuesday’s stage 10 as the provisional overall leader, Yamalube Yamaha Official Rally Team’s Adrien Van Beveren has been forced to retire from the 2018 Dakar Rally following a crash just a few kilometres before the finish of the timed special. Continuing his positive run towards the finish of the event, Adrien’s teammate Rodney Faggotter enjoyed his best stage performance to date securing a 13th place result. Stage 10 of the 2018 Dakar Rally will be remembered as one of the most demanding rally stages in recent history. 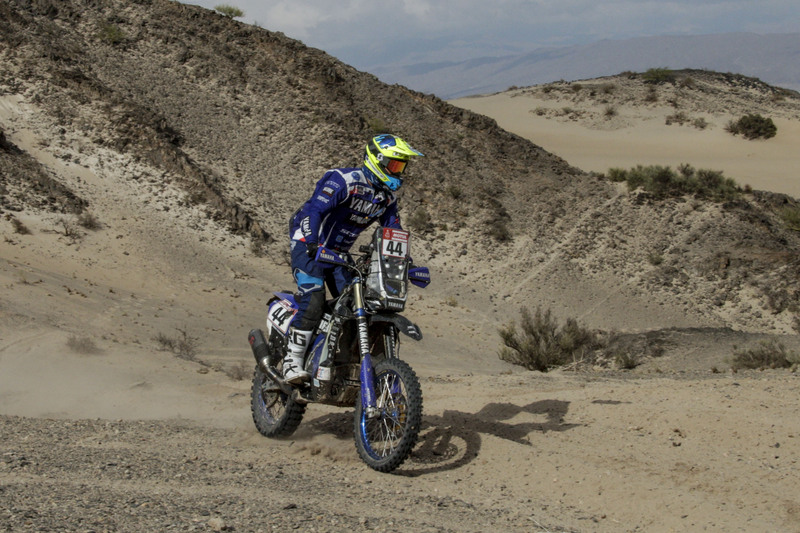 Taking competitors from Salta to Belén, Tuesday’s stage included some very tricky navigation in dry and dusty terrain. Following a well-calculated plan, Van Beveren was enjoying a mistake-free performance, making up more than half an hour on some of his main rivals. Frustratingly, a crash less than five kilometres before the end of the timed special resulted in the Frenchman being forced to abandon the 2018 Dakar Rally. Now under close supervision in the Belén hospital, more info on the extent of Adrien’s injuries will be released tomorrow. Making use of his experience, Adrien’s teammate Rodney Faggotter brought his WR450F Rally home in 13th position. Making up some of the time the Aussie lost during the last couple of stages, Rodney is now 20th in the provisional overall standings of the rally. Yamaha powered Ignacio Casale continues to dominate the overall standings in the Quad class of the 2018 Dakar Rally. Securing a third-place result in stage 10, the Chilean is currently leading the overall standings by a massive one-hour and 41 minutes. Including a 280km timed special, Wednesday’s stage 11 will be the first part of the rally’s final marathon stage.